Golfer Nancy Lopez is considered my many to be one of the greatest and influential Latina athletes of all time – doing for women’s golf what Billie Jean King did for women’s tennis. Though not as well-known as King with respect to her social activism, Lopez, raised in Roswell, New Mexico, nonetheless influenced a generation of women’s athletes with her professionalism, class and genuinely engaging personality. 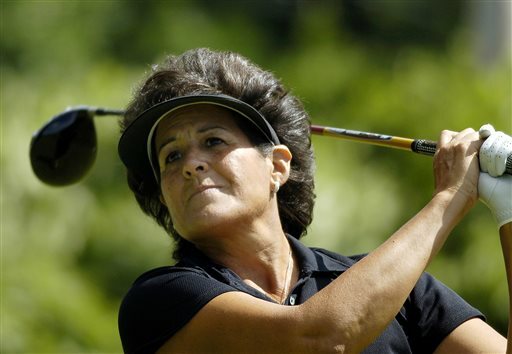 Lopez gave respectability and media attention to women’s golf and women’s sport at a critical time – her professional career began in 1978 and included three major championships, 48 tour victories and four Player of the Year awards. This entry was posted in Great Athletes from the Americas and Carribbean in Popular and Political Culture and tagged greaetest Latina athletes.